Do you believe what ROHIT SHARMA gifted her wife on their 2nd Anniversary. – All About India ! Current Captain of Indian Cricket Team Mr.Rohit Sharma amused thousands of Indian fans by scoring another double century(200) of his ODI career against Sri Lanka. The captain was witnessed roaring in the ground with his blaster bat hitting 12(6’s), 13(4’s) totalling upto 124 bagging just through boundaries and rest singles making 208* individual score of him out of 392(TEAM SCORE). Apart from The Board of control for Cricket India (BCCI) there is one more who couldn’t keep her happiness under limits. Ritika sajdeh was spotted motivating her husband while the heavy 3 hour playoff and struggle to a brilliant spell of 208* Runs. 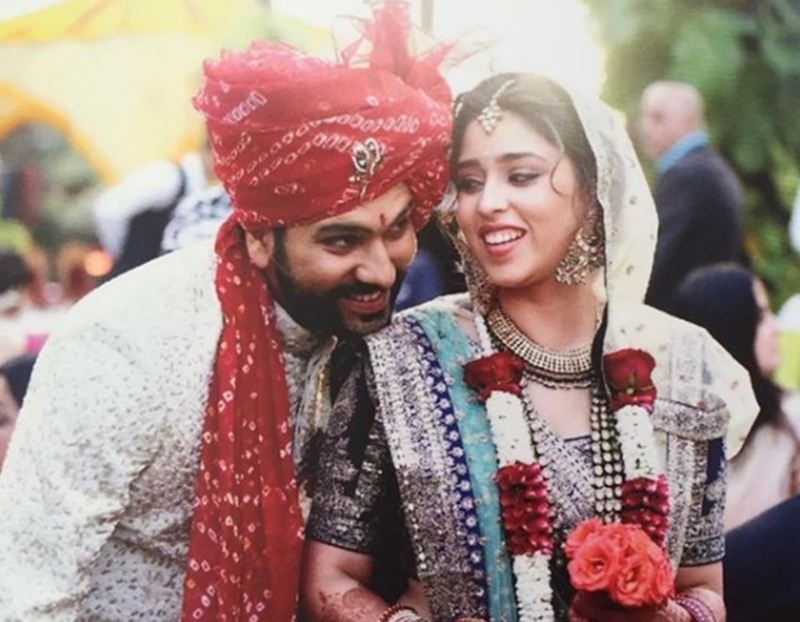 Rohit states that possession of the record is a gift to his wife on completing 2 years of their happy marriage and justified the moment by kissing his ring after winning the match. Previous Will Virushka wedding would be an end to Anushka’s Bollywood Flight! Next Conquering Gujarat be a big Deal for Modi Sarkar ?